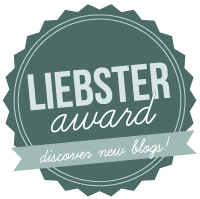 Books & Tea: Liebster Award! 1. Who is/are your favorite Booktuber(s)? I love Caitlin at the YA BookBlogger, Christine at olandananasbooks and Priscilla at the Readables. 2. Do you do Memes on your blog? If so, which are your favorite memes to do? 3. What is/are your favorite book(s)? The Fault in our Stars by John Green, The Book Thief by Markus Zusack and The Picture of Dorian Gray by Oscar Wilde! 4. Who is your book boyfriend? 5. What is/are your least favorite book(s)? What book(s) do you hate? 6. Are you a Goodreads member? Are you a member of groups in Goodreads? If so, what Goodreads Groups are your favorite? 7. Biggest pet peeves in a book/during reading a book? 8. What is/are your favorite genre(s)? Gothic/Dark, Paranormal, YA, Contemporary... Literally anything that attracts my fancy! I blog because I enjoy reading and reviewing books. I wanted to broaden the types of genre's I read so I decided to start a blog in hope to receive recommendations of books I'd either never heard of before, or wouldn't have picked up from a store usually. 10. If there was a massive book burning/book expulsion, and you could only save one book, what book would you save? I'm quite a fast reader to be honest. If I really get into the book, then I;ll just spend that entire day reading until it's finished! 2) What film(s) do you love that have been adapted from books? 3) What is/are your favorite book blog(s)? 4) What's your favorite book(s) so far this year? 5) What's your favorite book/series of all time? 6) If you were shipwrecked on a desert island which 1 series would you want with you? 8) What do you eat while blogging/reading? 9) If you lived in a book, which novel would you choose? 11) Do you read books more than once?